BFD Sphere is a hard rock and metal expansion pack for BFD3, BFD Eco and BFD2 produced by Tesseract and 4D Sounds founder Acle Kahney. Conceived as Kahney's ideal drum sound, the pack was recorded with Francesco Cameli (Bullet For My Valentine, Queen, Phil Collins, New Model Army and more) at London's Sphere Studios before its relocation. The pack includes high-detail 4-tom DW and Vibe kits alongside a Ludwig Black Beauty snare. Drums were tuned to complement the acoustics of Sphere's live room and were hit by Jamie Postones (Tesseract) and Mike Malyan (Monuments) - highly skilled drummers well respected for bringing a new force to modern drumming. 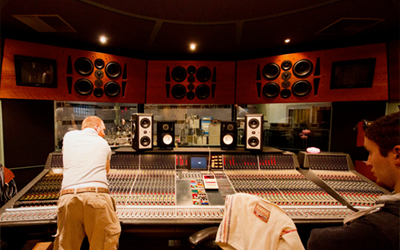 Neve preamps were used throughout for warmth and definition. 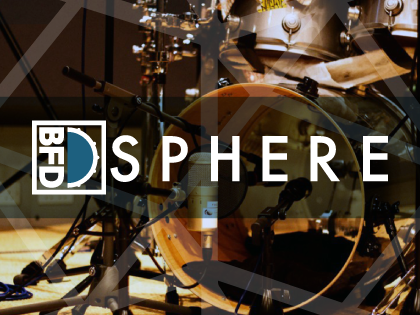 As well as the natural kits, BFD Sphere comes with additional processed versions designed to be dropped straight into metal and hard rock mixes. All kits feature presets in BFD3, BFD Eco and BFD2 formats with factory cymbals and hihats. Please note that the included snare features Hit and Rimshot articulations only.